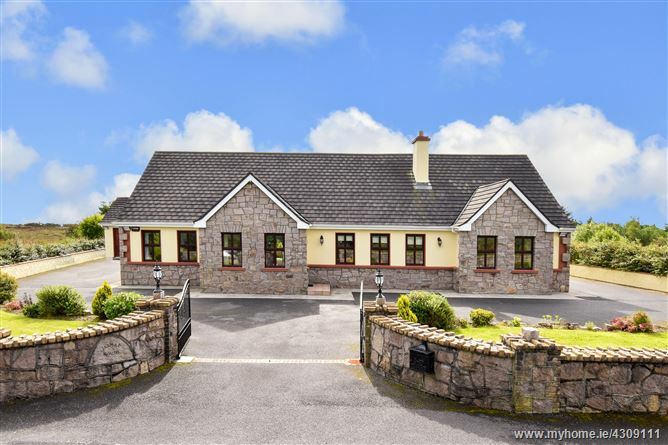 O Donnellan and Joyce are delighted to offer for sale, a stunning five bed detached family home on a generous mature site measuring approximately 0.52 of an acre and located in the much sought after area of Aille, Barna, Co Galway. 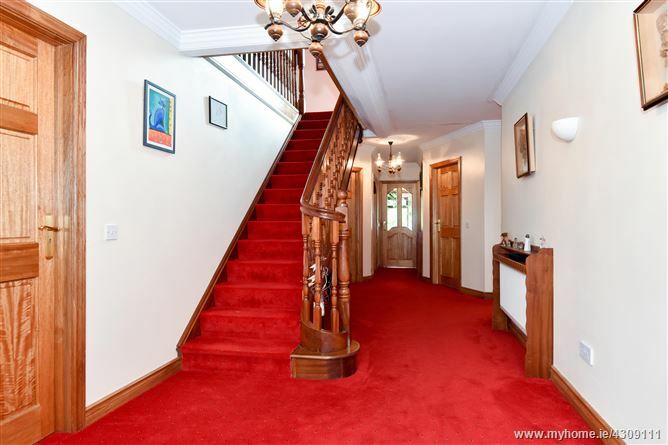 Properties in this area rarely come to the market and this is one of the finest and most attractive family homes to come to the market for some time. 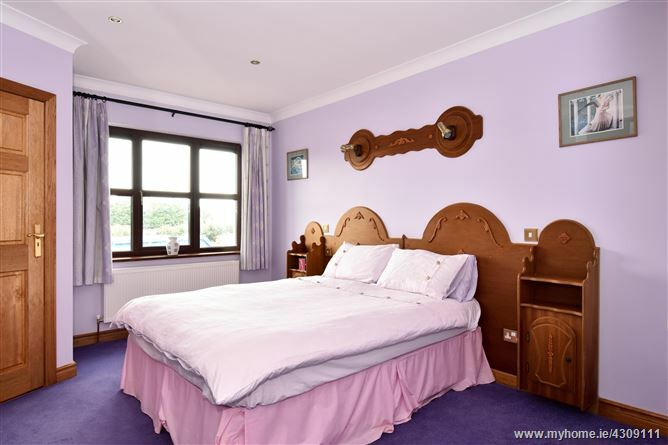 The current owners have spared no expense in creating a wonderful family home environment with careful attention to detail and decor found throughout. 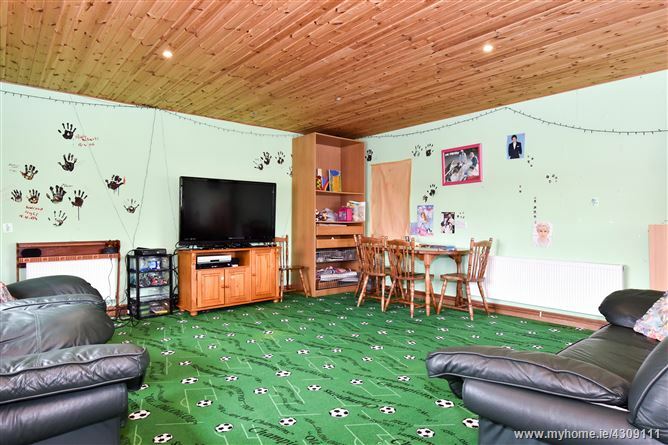 Presented in show house condition, the accommodation is comprised of a bright & spacious welcoming hall with feature ceiling coving. 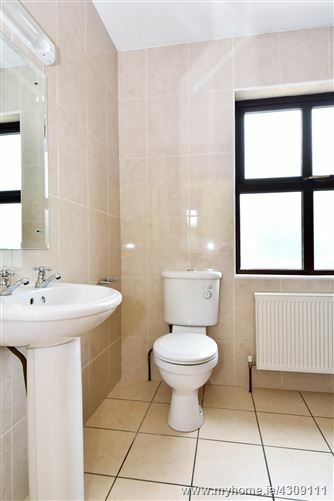 To the left of the hallway are two fine sized ground floor double bedrooms both of which offer en suite bathrooms. 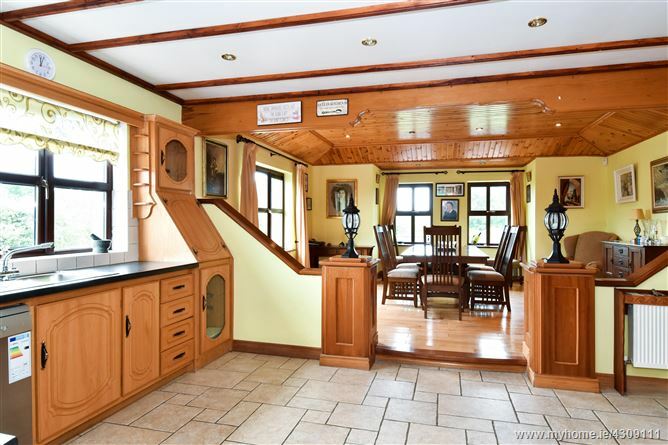 To the right of the hallway is a large lounge room with a feature stone fireplace and solid fuel stove, exposed ceiling beams and multiple windows overlooking the front garden. 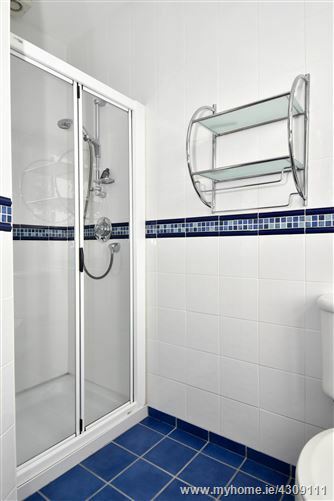 A third double bedroom with en suite bathroom is also located on the ground floor. 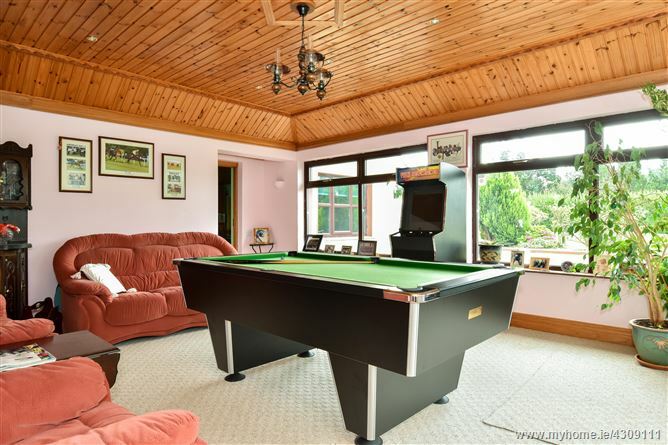 To the rear of the property you will find two more large rooms that comprise of a generous TV/cinema room and a sizeable snooker/games room both with wood paneled ceilings that overlook the rear garden & patio area. 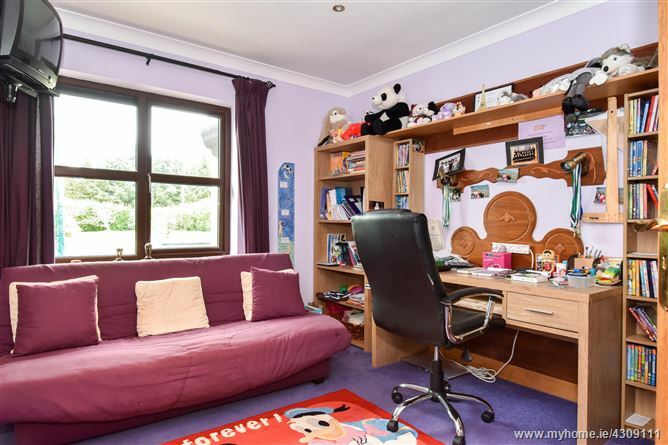 A home office/study is also available on the ground floor. 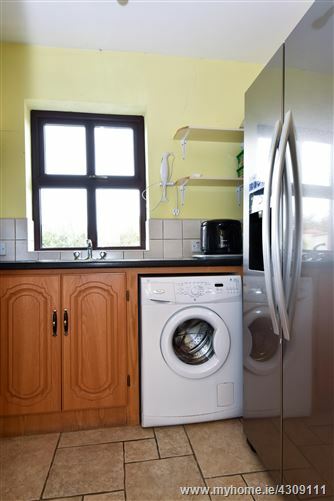 The heart of the home the kitchen and dining room are open plan in style with a wonderful sunny South facing aspect overlooking the private patio and large rear gardens. 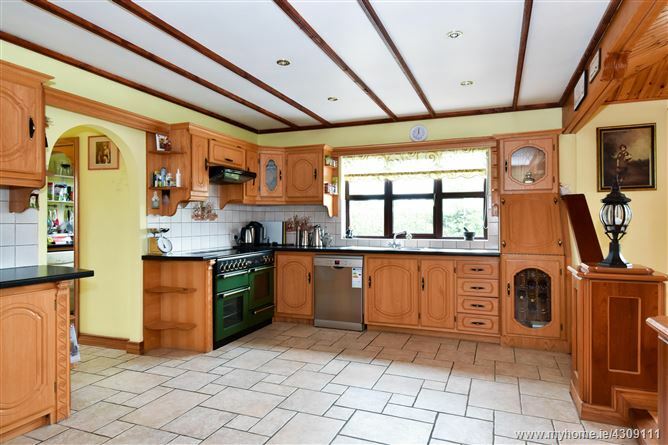 The kitchen is beautifully appointed with an array of solid wood units, tiled flooring & exposed ceiling beams. 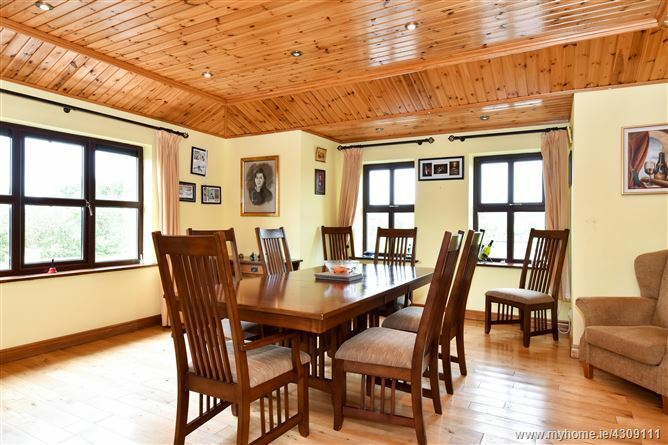 The dining room is equally beautiful with solid wood flooring, a wood paneled ceiling and dual aspect windows overlooking the front and rear garden. 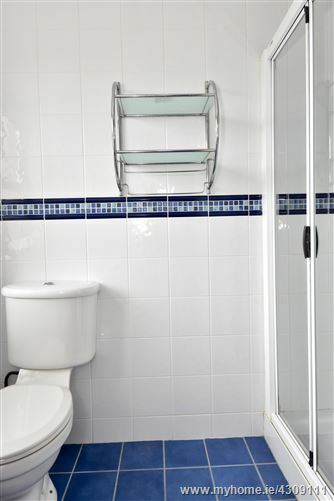 A separate utility room, a cloakroom, a downstairs bathroom and a rear hallway with plant room completes the accommodation on the ground floor. 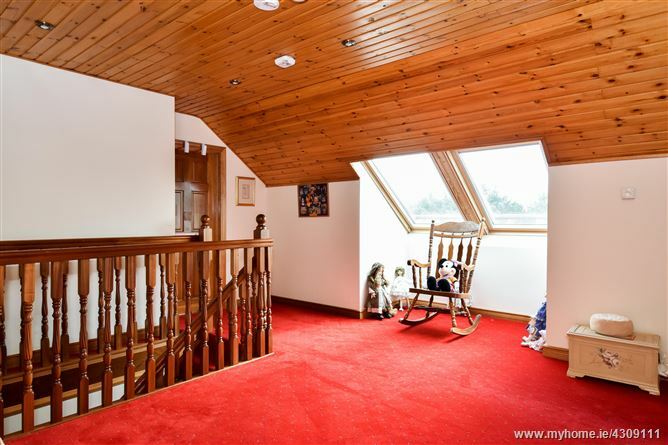 Upstairs the property offers a spacious landing area with wood paneled ceiling, a seating area and large velux windows. 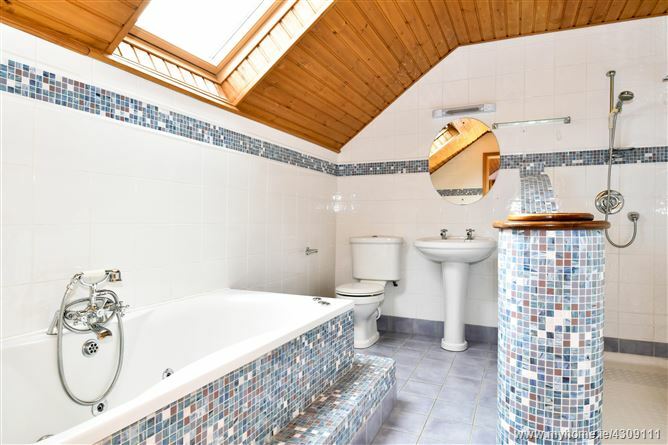 Two large double bedrooms can be found on this floor, the master of which offers a walk in wardrobe and a large en suite bathroom complete with jacuzzi bath and double shower. 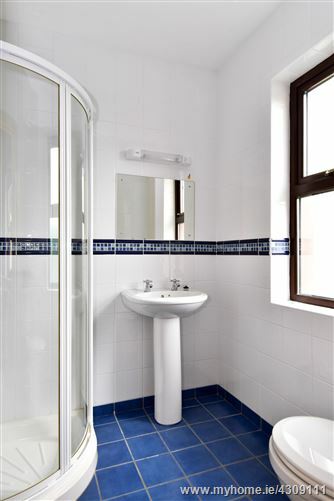 The second double bedroom also with an en suite bathroom completes the accommodation. 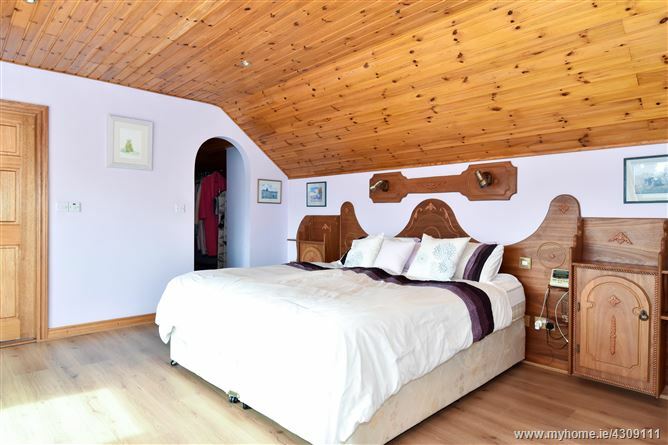 Each first floor bedroom has wooden flooring, feature wood paneled ceilings and large velux windows. 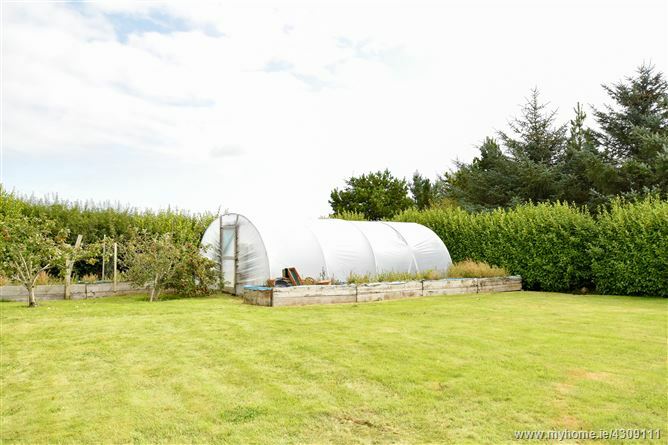 This wonderful property is found on a generous site which offers a beautiful sense of the countryside whilst still maintaining a close proximity to the bustling village of Barna, just 2.5 kms away. 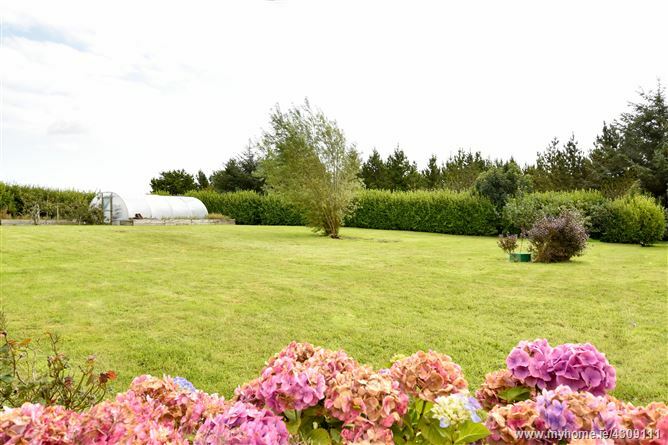 The gardens surrounding the property are wonderfully maintained with beautiful wrought iron entrance gates, stone walls surrounding, lush manicured lawns, pathways, fruit trees, a poly tunnel and wonderful mature planting throughout. 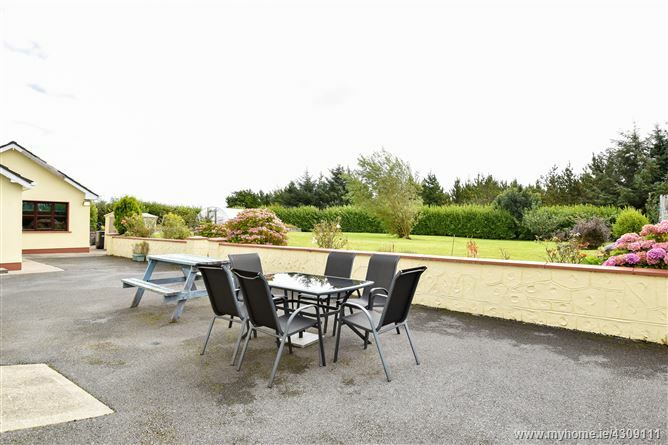 The South facing aspect over the rear garden is a great sun trap for the rear patio & seating area. 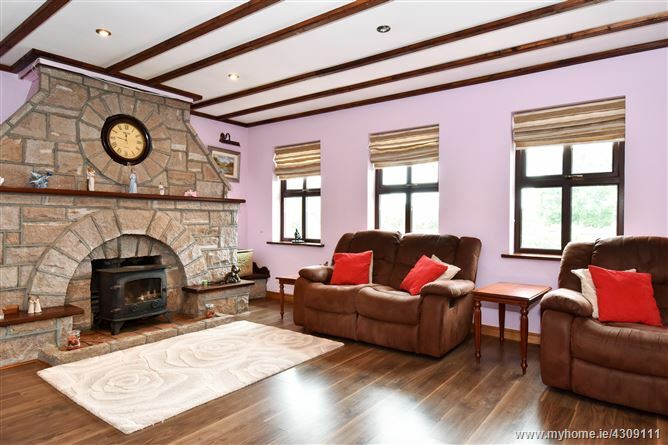 This is an outstanding family home in a beautiful location just moments from the village of Barna Village that will quite literally take your breath away. 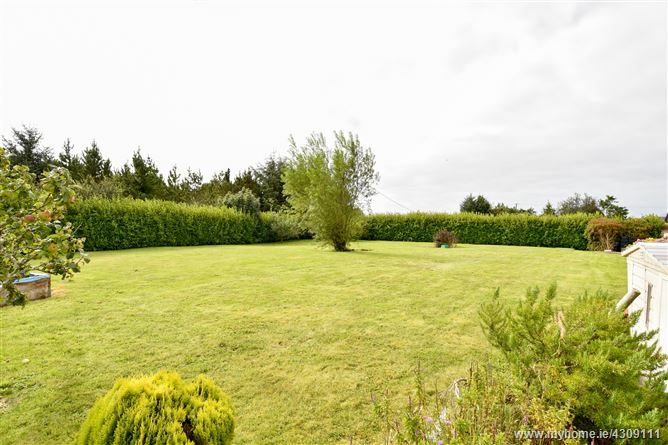 These wonderful communities offer a host of amenities such as schools, shops, restaurants and wonderful beaches. 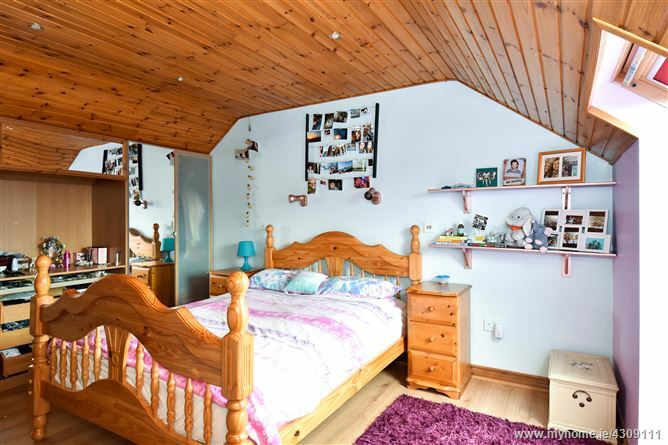 The property is just 15 minutes from Salthill Village with Galway City approximately 10kms away. 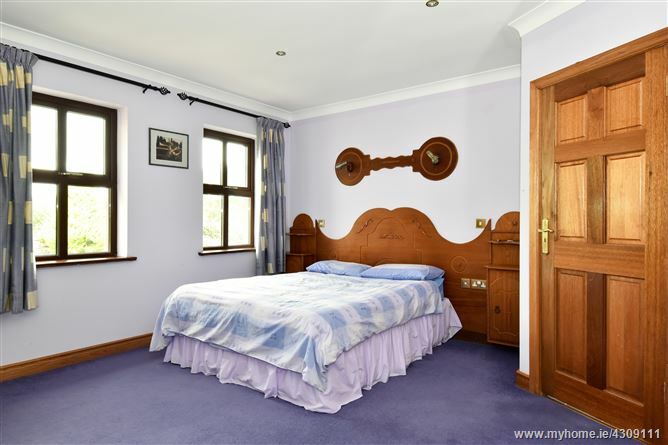 If you are looking for a superior quality home with no work, we strongly recommend viewing you will not be disappointed.